Have a specific question ? You can call at 1 844 614-6114 or email info@addictedtobeauty.com. I saw an article that I like but is out of stock, what to do? We understand how frustrating it can be to notice that the item you’ve flashed on is out of stock. If this article is still online, it is to give you an overview of what we are selling. Come back take a look regularly to see when it will be back in stock! Can I get free shipping after spending a certain amount? Yes, delivery is free after 50$ purchase! Enjoy! In which country do you deliver? We ship to Canada only. Shipping fees are 7$ CAN (fixed rate across Canada) and will be applied at the time of payment, after the address and delivery option have been selected. Should I sign for delivery? Yes, a signature will be required upon receipt of your package. We do this so that you are assured of receiving your package and that no glitches occur when we deposit your package. Note that special requests for deliveries are not guaranteed. If the deliveryman is not able to take your signature and thus to deposit your package, a notice of passage explaining to you where to pick up your parcel will be left. Will I be charged for customs and import fees? These are included in the displayed selling price. We are very quick when dealing with orders. Unfortunately, once it has passed, we can not modify or cancel it. Do I have the right to cancel my order? Once it has been confirmed, it is unfortunately not possible to cancel the order. YOUR CODE: Did you enter the code correctly? Our codes are sensitive to the slightest mistake. Try to copy / paste it into the promotional code box. Is it possible to use more than one coupon code? Reduction codes are not cumulative. You can only use one promo code per order. Deliveries can be made anytime between 8am and 5pm. What payment methods / currency do you accept? Rest assured! Shopping on our site is absolutely safe! If payment is authorized, your account will be debited immediately after you click ” validate your payment ”. – Aesthetic products (brushes, sponge, wipes, facial brush, make-up remover) and other hair accessories (such as the pocket mirror brush) are FINAL sales. For reasons of hygiene and quality assurance, all sales of aesthetic products (hair brushes, sponges, wipes, face brush) and other hair accessories (such as the pocket mirror-brush) are FINAL sales. All purchases of electrical appliances are FINAL. Addicted to Beauty will honor the manufacturer’s warranty for all electrical items purchased from its website and will replace defective electrical appliances covered. These guarantees apply ONLY to a device whose defect can be detected at the time of return and not damaged during use. You ABSOLUTELY need the original packaging to qualify. Please note that warranties can only apply on refund requests for the same item, not an exchange for a different item. We recommend that your ship your item with the original box and that you use a traceable shipping method like Canada Post, UPS or FeDex. Please note that you will only be responsible for the shipping costs from your address to our warehouse. We will assume all other shipping and handling fees tied with your request. We will contact you by email within 5 business days following the receipt of your package to confirm the validity of your request. We will then confirm the shipment of your new appliance by email. Please note that the return of a non-defective item will be denied and your appliance will automatically be sent back you. My packaged was damaged during delivery. What should I do? We will contact you by email within 5 business days of your request to confirm its validity. Once the replacement has been authorized, we will send you a second package and a return slip so that you can return the damaged items free of charge. The deadline for the return of damaged products is 10 days from the date of receipt of the second package. Addicted to Beauty reserves the right to refuse returns sent or communicated after the return deadline, or products that are not in the same condition in which they were received. In this case, the total amount of the products will be invoiced, in addition to a fixed amount of $ 7 for delivery costs. There is an error in my command. What should I do? We will contact you by email within 5 business days of your request to confirm its validity. Once the error has been confirmed by our order department, we will send you a second parcel and a return slip so that you can return the erroneous items, if applicable. The deadline for the return of erroneous products is 10 days from the date of receipt of the second parcel. Addicted to Beauty reserves the right to refuse returns sent or communicated after the return deadline, or products that are not in the same condition in which they were received. In this case, the total amount of the products will be charged. Returns can take some time to reach us and be treated. If you want to keep up with the latest trends and enjoy great promotions and discounts, make sure to subscribe to our newsletter! Just enter your email address at the bottom of the homepage of our site, in the box provided for this purpose. In the tab MY ACCOUNT in the top right of our site. Choose the option to register with your email address or by signing in to your Facebook account. You can call 1 844 614-6114 or email info@addictedtobeauty.com. We are always looking for new bloggers and collaborators. Please send us your blog link as well as your full name to info@addictedtobeauty.com. Note that we receive a lot of requests and that we will only contact you if there is an opportunity to collaborate. I like Addicted to Beauty and I wonder if it is possible to buy wholesale? Yes! Please contact us at info@addictedtobeauty.com. I am a supplier how can I get in touch with your buying team? 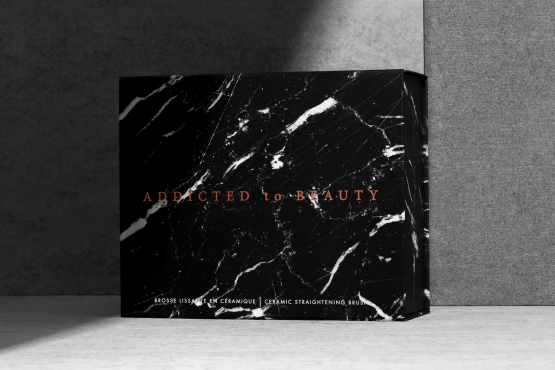 We are thrilled to hear that you wish to work with ADDICTED to BEAUTY. Send your request to info@addictedtobeauty.com. Note that we receive a lot of requests from suppliers and that we will only contact you if there is an opportunity to collaborate. What is your complaint procedure? Most of our customers are satisfied with our services. However, sometimes things do not go as planned and you want to file a complaint. We want your experience to be as enjoyable as possible, so we will endeavor to process your complaint as quickly as possible. Once your complaint is received, a member of our team will contact you to resolve the complaint.